Go to Bestbuy.com. Blu-ray Movies On Sale for $4.99 Each. Free in-store pickup option. Go to Apple iTunes Store. Marvel Digital HD Movies on Sale for $9.99 Each. Go to Discountmags.com, Easter Magazine Sale: 1-Year Subscription from $3.95.Shipping is free. Go to Amazon.com. Digital HD Movies On Sale for $4.99 Each. Go to Amazon.com. Kindle Books on sale for FREE (Ends 04/24). Exclusions apply. Go to Amazon.com, add it to your cart. 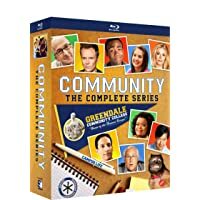 Price is Valid for Amazon Prime Members Only (30-Day Free Trial). Go to Microsoft Store. Digital HD Movies on Sale for $4.99 Each. Go to Microsoft Store, add it to your cart. Go to Apple iTunes Store. add to cart for $12.99. Go to Vudu. Receive 3 Digital HDX (Mix & Match) Movies for $15.00. Select any 3 Titles, and add to cart, discount automatically applied in cart. Exclusions apply. Go to Amazon / Walmart. select 5-Minute Stories for $5.69. Shipping is free with Prime (30-Day Free Trial) or free store pickup from Walmart. Go to Atom Tickets. 4 for $30 when you use code SUPERFAM. Valid today 4/6 only. Go to Amazon.com. Digital HD Movies On Sale for $0.99 Each. Go to Amazon.com. Amazon First Reads July All Six Kindle Books for $1.99 Each. and Prime members enjoy one Kindle book for FREE (30-Day Free Trial). Books include: We Are Not Friends (You Are Not Small), One Word Kill (Impossible Times) Or More. Exclusions apply. Go to Musicians Friend, add it to your cart. And Free Shipping. Go to Amazon.com. Kindle eBooks on sale for $1.99 Each. Exclusions apply. Go to Amazon.com. Prime members only. Ends 4/19. Amazon is offering a free $3 promotional credit when you borrow your first eBook with Prime Reading. Thanks, Mike! Prime Reading is free with your Amazon Prime memership and allows you to "borrow" up to 10 eBooks at once. Go to Amazon.com. HD Digital Movie for $0.99. Go to adorama.com, add it to your cart. And Free Shipping. Go to Vudu. Receive an extra $8 Off Shazam Movie Ticket when you purchase Superman: The Movie (Digital HDX/4K UHD) for $7.99. Reward sent by email within 48 hours after purchase. Exclusions apply. Go to Target.com. 4K UHD Blu-Ray On Sale for $15.00 Each. plus Also Receive $5 target gift card for FREE(Automatically Added to Cart). Exclusions apply. Free in store pickup. Go to DiscountMags.com, add it to your cart. And Free Shipping. Go to vudu. Watch or stream a 'last chance to watch' movie w/ ads on Vudu. Get a $2 code within the week to use on your next purchase at VUDU. Go to Target.com. $5 gift card when you buy a select 4k movie. Ex Machina 4K Ultra HD Blu-ray + $5 Target GC for $10.00, Free in store pickup, Also Receive $5 target Gift Card for FREE (Automatically Added to Cart). Go to Microsoft. sh vs Evil Dead on sale. Go to Amazon.com. add to cart for $1.99. Go to VUDU. Receive an Extra 50% Off Select Digital Movies and TV. Online Prices reflect Final Discount. Exclusions apply. Go to Amazon.com. Free $3 Credit for Borrowing your first book (Free of Charge). $3 Credit will be loaded to your account within 48 Hours. Offer ends 04/19/19. Go to Amazon.com. Select Amazon Accounts 90 Days Amazon Music Unlimited for Free (YMMV). Cancel anytime before 90 days if you do not want to be charged. Go to Guitar Center, add it to your cart. And Free Shipping. Go to Atom Tickets. Get Wonder Park Movie Tickets for $5 Each via Atom Tickets app (iOS or Android) w/coupon BOOMER (Ends 03/14). Exclusions Apply. Go to Apple iTunes Store. Digital HD Season 1 Shows on Sale for $4.99 Each. Go to Atom Tickets. Get extra $5 off when you buy 2+ Tickets of A Star is Born Movie. Discount applied automatically in cart. Offer Ends 03/07. Exclusions apply. Go to Amazon.com. Amazon First Reads July All Six Kindle Books for $1.99 Each. and Prime members enjoy one Kindle book for FREE (30-Day Free Trial). Books include: Where the Forest Meets the Stars, The Perfect Child Or More. Exclusions apply. Go to Bestbuy.com. Receive 3D Blu-ray Movies on Sale for $9.99 Each. Choose Free in store pickup option to save on shipping or Free Shipping w/$35+ order. Exclusions apply. DiRT Rally PSVR Digital for $9.99. Price is Valid for PlayStation Plus Members Only. Go to Apple iTunes Store. Digital HD Movies on Sale for $4.99 Each. Go to Amazon.com, add it to your cart. free shipping on $25+ or with Prime. Won a 2013 James Beard Foundation Award. Go to DiscountMags.com. Employee Discount Sale Magazine Sale: Magazines from$4.53/Yr. Shipping is free. Go to Amazon.co.uk . 2 Marvel 3D Blu-Ray Movies for 2*£12.00 + £4.07 Shipping - £6.00 off at checkout = £22.07 Or $30.50 Shipped. Exclusions Apply. Go to Apple iTunes Store. Digital 4K UHD OR HD Movies on Sale for $4.99 Each. Go to Walmart.com. Blu-ray Movies On Sale for $5.00 Each. Choose free in-store pickup option to save on shipping OR Free shipping w/$35+ order. Go to Bestbuy.com. two select 4K Ultra HD Blu-ray Movies for $20 - $2 off at checkout* = $18 with in-store pickup. *Get an additional $1 off each title when you select shipping option in cart, then change to in-store pickup option (same-day pickup) at checkout. Choose from 16 titles like Life of Pi, The Maze Runner, Die Hard, The Predator (1987), Kingsman: The Golden Circle and more. Go to Apple iTunes Store. Digital HD Movies on Sale for $19.99 Each. Go to DiscountMags.com. 1-Yr Subscriptions from $2.50. Shipping is free. The imaginative world of Dr. Seuss comes to life like never before in this visually spectacular adventure from the creators of Despicable Me! Includes a Lorax plush toy! Go to Amazon.com. select 4K UHD Movies on sale: 3 for $39.99. Shipping is free. Go to Google Play Store. select Digital 4K UHD Movies on sale for $4.99. Go to Vudu. Receive 5 Select Digital HDX Movies for $24.99. Select any 5 Titles (Mix & Match) and add to cart. discount automatically applied in cart. Exclusions apply. Go to Atom Tickets. Receive an Extra $5 Off when you purchase Two "The LEGO Movie 2: The Second Part" Movie Ticket. Exclusions apply. Go to DiscountMags.com. Annual Super Sale: 1-Yr Subscriptions from $4.50. Shipping is free. Go to Bestbuy.com. Buy One Blu-Ray Movie and Get One for FREE. Add two Blu-Ray Movies to cart (of equal or lesser value). discount applied automatically in cart. Plus Extra $1.00 off When you select "Shipping" for your delivery method. then proceed to checkout, At Checkout in the shipping section, "$1 off order" should appear in green text beside the "Tomorrow at a Best Buy store" option. Change your delivery method to this in-store pickup option. Exclusions apply. Go to Amazon.com. First Reads July All Six Kindle Books for $1.99 Each. and Prime members enjoy one Kindle book for FREE (30-Day Free Trial).. Books include: Where the Forest Meets the Stars, The Perfect Child Or More. Exclusions apply. Go to Musicians Friend. add to cart , Shipping is free. Go to Amazon.com. Get $5 back in eBook credit when you spend $20 on eBooks. Credit must be used by 01/28. Exclusions apply. Go to AMC Theaters. Upcoming on 01/26, The LEGO Movie 2: The Second Part Early Access Screenings for $5.00, for AMC Stubs members only at participating AMC Theatres locations. Offer ends 01/26. Exclusions apply. Go to Amazon.com. add to cart for $2.99. Go to Microsoft Store. many digital movies on sale for $4.99. Go to Amazon Fr, add it to your cart. And Free Shipping. Go to Vudu.com. select Digital HDX Movies for $4.99 Each. Exclusions apply. Go to fandango.com. Buy How To Train Your Dragon: Hidden World Ticket (Feb 2nd), and Get Rental of select DreamWorks Movie for FREE With Fandango Early Access. Exclusions apply. Go to Audible. Free Audio Book of The Passage by Justin Cronin. Offer expires 2/1/19. Go to DiscountMags, Shipping is Free. Go to Amazon France . add to cart for 12,21 EUR (price drops at checkout when shipped to US) + 8,50 EUR Shipping = 20,71 EUR or $24.95 shipped. Go to Bestbuy.com. Select Blu-ray Movies on Sale for $4.99 - $1 off = $3.99 Each. Receive an extra $1.00 off When you select "Shipping" for your delivery method. then proceed to checkout, At Checkout in the shipping section, "$1 off order" should appear in green text beside the "Tomorrow at a Best Buy store" option. Change your delivery method to this in-store pickup option. Go to Barnes and Noble , 15% off $40+ Orders with Code "SNOWING". Some Exclusions Apply. Shipping is free on $25+. Go to Atom Tickets. Receive an extra 50% Off First Movie Ticket w/coupon GIFTY50 (Ends 01/06). Valid for New Customers Only. Exclusions apply. Go to Amazon.com. Up to 40% Kindle Unlimited Reading . Go to Amazon.com. Receive 3 Months Kindle Unlimited Membership for $0.99 (Ends 01/11). Offer is valid for New Subscribers only. Exclusions apply. Go to Amazon.com. Kindle Books on Sale for $0.99 each. Exlcusions apply. Go to VUDU.com. select Digital HDX Movies Bundles from $9.99. Exclusions apply. Go to Amazon.com. Kindle eBooks Digital for $1.99 Each. limit 2 per customer. Prime members Get Kindle eBooks for FREE (Not a prime member? 30-Day Free Trial). Exclusions apply. Go to Vudu.com. Digital HDX Movies From $1.99 (Ends 01/01). Exclusions apply. Go to Amazon.com. Select Sesame Street Episodes for Free. Go to Bestbuy.com. Add Any 2 Blu-Ray movies to cart for $10.00 - $2.00 off (when you choose store-pickup) = $8.00. (Receive an extra $2.00 off When you select "Shipping" for your delivery method. then proceed to checkout, At Checkout in the shipping section, "$2 off order" should appear in green text beside the "Tomorrow at a Best Buy store" option. Change your delivery method to this in-store pickup option). Go to Amazon.com. add to cart for $0.99. Go to Amazon.com. Receive an extra $5 Off $20 or more Books Purchase w/coupon GIFTBOOK18 (Ends 12/21). Free Shipping on all Order. Exclusions apply. Go to Atom Tickets . $5 off 2× Atom Tickets for AQUAMAN. Plus, get $7 off when you check out with Chase Pay. Deal ends 12/23. Buy One Get One Free Bumblebee Tickets with code HAILEEBEE. Shipping is free. Go to Amazon.com. Receive 90-Day Trial of Amazon Music Unlimited for FREE, when you purchase participating CDs & Vinyl product. Valid for new Amazon Music Unlimited subscribers only. Exclusions apply. Go to Amazon.com. Receive 12-Months of Kindle Unlimited Membership for $80.31. Unlimited exploration, Unlimited Reading, Unlimited Audiobooks. Exclusions apply. Go to Adorama.com, add it to your cart. Go to Barnes&Noble.com. Buy 2 Manga and Light Novels, Get 3rd for FREE. Add three Novels to cart. discount automatically applied in cart (Ends 01/14). plus Extra 20% Off $40+ Order w/Coupon BEMERRy (Ends 12/18). Free Shipping w/$25+ Order, Exclusions Apply. Go to Amazon.com. Receive 3-Month Subscription to Amazon Music Unlimited for $0.99. Offer valid for New subscribers only. Exclusions apply. Go to Target.com. Receive $50 Target Gift Card for FREE with Purchase 2 Select Video Games. Add two Video Games to cart and Gift Card automatically added in cart. Free shipping on most items or Choose Free in store pick up to save on shipping. Exclusions apply. Go to Guitar Center. Receive $20 Guitar Center Gift Card for FREE, when you purchase $100 Guitar Center Gift Card (Ends 12/16). Gift Card redeemable from 12/26/2018 - 01/31/2019. Exclusions apply. Go to New York Times. 6-Months of The New York Times Digital Subscription for FREE. Valid for New Subscribers only. After your trial, it�™s only $7.49 a month for 12 months, then $14.99 a month after that. You can cancel anytime. Exclusions apply. Go to Target.com. Receive an extra $5 Off $20 or more Kids Books Purchase. Discount automatically applied in cart (Ends 12/15). Free Shipping on all order. Exclusions apply. Go to Barnes&Noble.com. Receive an Extra 50% Off Select Hardcover & Paperback Books. Online prices reflect final discount. Free Shipping w/$25+ order. Exclusions Apply. Go to Amazon.com. add to cart for $16.61 - 10% click coupon = $15. Shipping is free with prime. Go to Amazon.com, add it to your cart. free shipping. Go to Vudu. Get $2 Vudu Credit for FREE, when You Watch Free Movies & TV Titles (Ends 12/05). Limit one credit per person. Exclusions apply. Go to Musicians Friend . Receive an Extra 17% off $49+ order w/coupon HOLIDAY17 (Ends 12/21). $500 Max discount. Shipping is Free. Exclusions apply. Go to Amazon.com, add it to your cart. And Free Shipping. 208 pages covering the characters in all eight of the Harry Potter films. Get early access to one(1) of six Kindle books, FREE for Prime members and $1.99 for everyone else. Go to Bestbuy.com. 4K Ultra HD Blu-rays on sale for $9.99. Shipping is free. Go to Bestbuy.com, add it to your cart. Go to Target.com. Receive an extra $5 Off $20 or more Books Purchase. Discount automatically applied in cart (Ends 12/01). Free Shipping on all order. Exclusions apply. Go to Target.com. 4K UHD Blu-Ray On Sale for $15.00 each. Exclusions apply.+ Free in store pickup. Go to Bestbuy.com. Blu-ray Movies on Sale for $3.99 - $1 off = $2.99 Each. Receive an extra $1.00 off When you select Shipping for your delivery method. then proceed to checkout, At Checkout in the shipping section, $1 off order should appear in green text beside the "Tomorrow at a Best Buy store" option. Change your delivery method to this in-store pickup option. Go to Bestbuy.com. Add any 3 Select 4K UHD Blu-Ray to cart for $40.00. discount applied automatically in cart. Shipping is Free. Exclusions apply. Go to Bestbuy.com. Receive 3D Blu-ray Movies on Sale for $8.99 Each. Add 'Any Blu-ray Movies' to cart for $9.99, then In cart, select "Shipping" for your delivery method. then proceed to checkout, at Checkout in the shipping section, "$1 off order" should appear in green text beside the "Tomorrow at a Best Buy sAtore" option. Then Change your delivery method to this in-store pickup options. Your final price will be $9.99 - $1.00 off = $8.99. Exclusions apply. Go to Movies Anywhere . 3 Digital HD Movies (Happy Feet, The Martian & The Fate of the Furious) for FREE When you Sync/connect 2 new retailers to your Movies Anywhere Account. Exclusions Apply. Go to Bestbuy.com. Receive an extra $1.00 off When you select "Shipping" for your delivery method. then proceed to checkout, At Checkout in the shipping section, "$1 off order" should appear in green text beside the "Tomorrow at a Best Buy store" option. Change your delivery method to this in-store pickup option. Go to Bestbuy.com. Blu-ray Movies on Sale for $5.99 - $1 off = $4.99 Each. Receive an extra $1.00 off When you select "Shipping" for your delivery method. then proceed to checkout, At Checkout in the shipping section, "$1 off order" should appear in green text beside the "Tomorrow at a Best Buy store" option. Change your delivery method to this in-store pickup option. Go to Target.com. Buy two Blu-Ray Movie and Get One for FREE. Add three Blu-Ray Movies to cart (of equal or lesser value). discount applied automatically in cart (Ends 11/03). Choose Free in store pickup option to save on shipping or Free Shipping w/$35+ order. Exclusions apply. Go to Bestbuy.com. Blu-Ray Movies on Sale for $4.99 each. Shipping is Free. Exclusions apply. Go to Amazon.com. Digital HD Movies Rental on Sale for $0.99 Each. Go to Bestbuy.com. Blu-Ray Movies on Sale for $9.99 each. Choose Free in Store Pickup to save on shipping or Free Shipping w/$35+ order. Exclusions apply. Go to Bestbuy.com, add it to your cart. select "Shipping" for your delivery method. then proceed to checkout. Go to Google Play Movies. upgrading past purchases to 4K UHD for FREE.